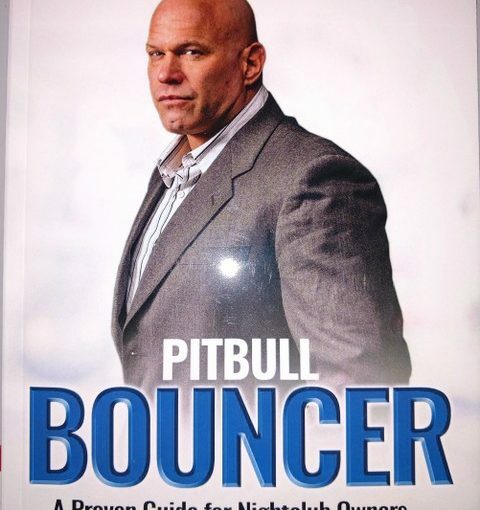 Here is the 1st Chapter of contributor Gabe Cohen’s 1st book, Pitbull Bouncer. My philosophy is to lead by example, don’t ask anybody to do anything your not willing to do yourself and put the safety of my team members first. Sometimes as well as I may have trained my team members there are those that just don’t have the experience or the confidence to make certain judgement calls that need to be made for every situation. We need to watch out for one another. When I am working a room I am not only constantly scanning the crowd but also keeping an eye on all of my people. Keeping track of them when I see them move or trying to find them when I don’t see them where they are supposed to be posted. There is definitely a learning curve that comes with time and if, as a team leader/supervisor, you have confidence that certain team members still need a little more time to fully grasp what needs to be done but will get it then it’s your responsibility to keep an eye on these individuals. Whether it’s you or other experienced team members (because you can’t be everywhere at one time} as a team we look out for one another in order to keep everyone safe. It’s an absolute team effort. Now you got to remember if your in a high volume club with hundreds or even over a thousand people you’ve got to be scanning and watching for trouble while securing your post and talking to the clients. You can’t get sucked into a debate or someone else’s drama while doing your job. It’s a distraction and for the most part these people engaging you into these types of conversation don’t care about you or your job. If after being kind they persist in trying to get their way and not taking no for answer then I see it as they are taking your kindness for weakness and it’s time to step up your game. You need to let them know you are not playing game’s here and they need to back up and go about their business. My philosophy here is I let them know I need to pay attention and do my job and if they persist in trying to get me to change the clubs policy for them I’m going to ask them to leave the establishment. Plain and simple. I got to much going on to spend any more time on this. The answer is “No”, I’ve told you already twice and I’ve asked you to please leave me alone so I can focus on my job. If they don’t move on at this point my policy is to radio in for back up and try to “hand this guy off” to another team member. When back up arrives if this guy wants to argue or debate the same issue and have the same conversation then it’s time for him to go. He can either show himself to the door or we can help him find it. We usually don’t want the guy posted up at the VIP section to leave his post but if he does one of our roamers or a guy posted across the room can come cover his spot until he comes back. That’s best case scenario and if everything goes smooth but everything is situational and I’ve had to use my intuition to step in and handle the situation before my team member got themselves into a wreck. This of course can have the ripple effect that gets friends of the trouble maker involved which requires more security to get over there and takes time. This puts that many more people at risk of getting injured especially those compliant customers in the immediate range who are oblivious of what’s going on. Sometimes I can see these debates carrying on way o long and I can see my guy uncertain on what to do, they freeze up and kind of hope the problem will just go away. It usually doesn’t and I watch the troublemaker become more aggressive and my team member getting frustrated but staying passive. The key sign to move in and take control of the situation is the lack of radio communication. This is of course if I’ve had the luxury to watch from the start and realize there is a problem that needs to be handled. I’ve watched up to the point where the patron was pointing his finger in my team members face and I got there in time to “wrap” him up and get him out the door before anybody got hurt. Often these guys will get themselves worked up into an aggressive state trying to build their own confidence to get violent. I’ve often been accused of looking like the aggressor and you need to be careful of the public’s perception but they don’t know what I know or have seen and experienced what I have and it’s my job to keep my people safe. Sometimes my people just need more time, training and experience and sometimes we need to let them go. Not everyone is cut out for this job and sometimes letting them go is my way of keeping them and everyone else safe.